Provide comfort for the family of Thomas Caster with a meaningful gesture of sympathy. Thomas “Tom” Gordon Caster 80 of rural Harrison, passed away at his home on Monday, February 11, 2019. Thomas was born June 3, 1938 in Ellsworth, Pennsylvania, the son of John and Margaret (Burwell) Caster. On September 18, 1971, Thomas was united in marriage to Ms. Judyann Cheryl Furton in Mount Clemens, Michigan. Mr. Caster had resided in Harrison since 2001, moving from Mount Clemens immediately upon his retirement from Chrysler after thirty-five years of employment. Mr. Caster was passionate about old cars, he enjoyed collecting them, wrenching on them and also enjoyed building and displaying model cars and trucks. On occasion, Thomas would go deer hunting and could be found many times, just enjoyed being surrounded by nature. When Tom wasn’t outdoors or in his garage, he liked to watch the History Channel, old westerns and reading Louis L’Amour novels. Surviving Mr. Caster is his loving wife of forty-seven years, Mrs. Judyann C. Caster of Harrison, one daughter, Tracy Pringle and husband Robert of Harrison, one son, Thomas Gordon Caster Jr. of Harrison, eleven grandchildren, nine great-grandchildren, one sister, Marcia Shumsky and husband John of Vestal, New York, two brothers; Jim Caster of Mount Clemens and Barry Caster of Ellsworth, Pennsylvania, plus a host of nieces and nephews. Mr. Caster was preceded in death by his parents, one sister and two brothers. No services are planned at this time for Mr. Caster. To share an online memory or condolence with Tom’s family, please visit: www.stockingfuneralhome.com. 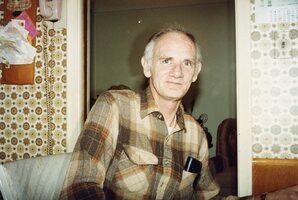 Arrangements for Mr. Caster are entrusted with Stocking Funeral Home, Harrison (989)539-7810. To send flowers in memory of Thomas Gordon Caster, please visit our Heartfelt Sympathies Store.